Are you long time abroad in Malaysia, and craving for some good western food? Luckily, In Kuala Lumpur (KL) there are many western restaurants, and the Brasserie 25, Hotel Stripes is a proper place to enjoy it. As an invitation I will only state this; at Brasserie 25 they serve rib-eye that is aged for 200 days. 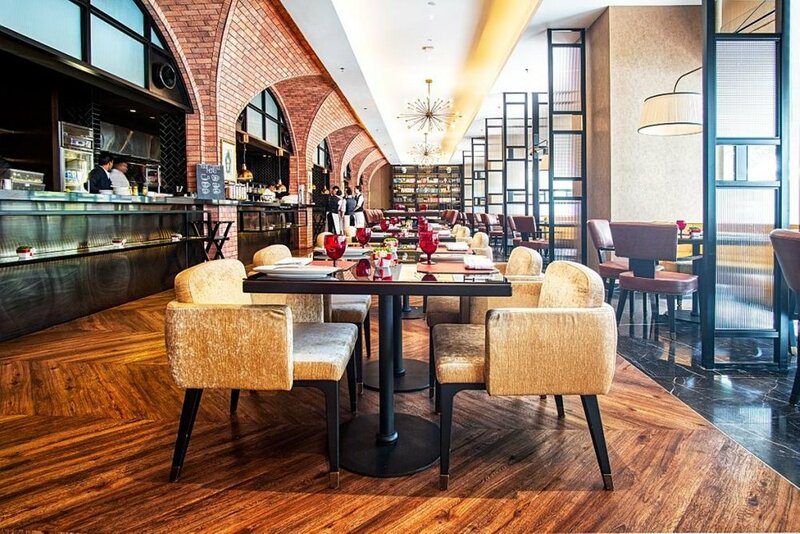 Brasserie 25 is in the Hotel Stripes KL, Autograph Collection. Brasserie 25 is located on the ground floor of Hotel Stripes KL, which is the second hotel in the Autograph Collection, here in Malaysia. The first one is the Majestic, which is still our favorite hotel in this city. 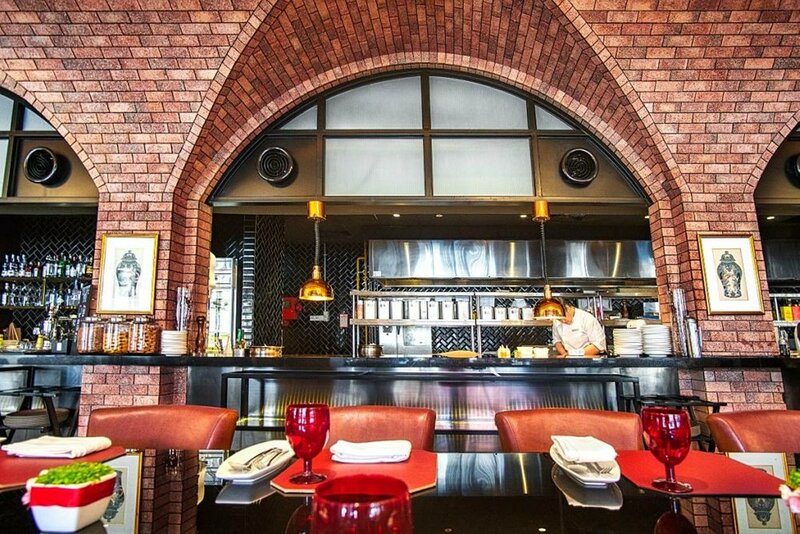 The first thing you will notice at Brasserie 25 is terracotta brick arcades on the one side and glass booths on the opposite side, joining in the appealing elegance. Modern twist grants the open kitchen concept and loss of white linen, typical for a brasserie. It's a relaxing indoor setting with beautiful dark wooden floor in black marble combination, that fits for many occasions. 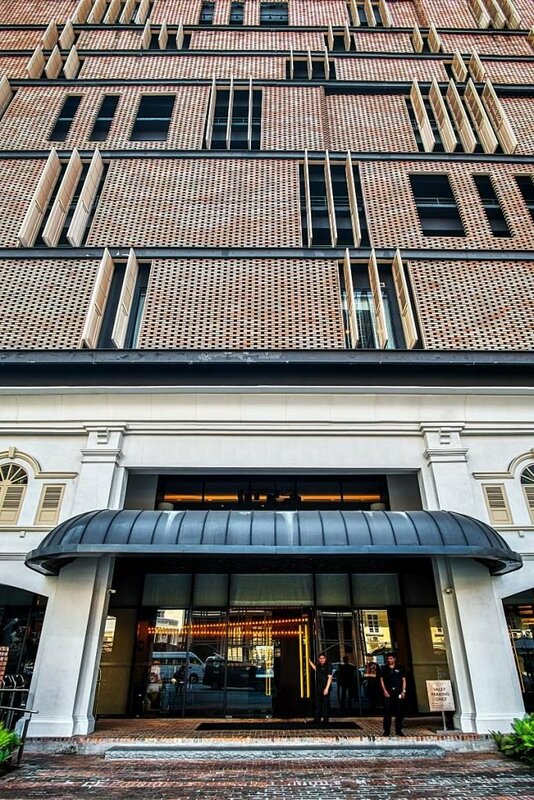 Terracotta brick arcades on one side and glass booths on the other join in the apealing elegance. Beverage list contains all necessities that an average person could desire during the lunchtime. Being one of the French restaurants in KL, wine shouldn’t be out of the question. While digestif and cocktails might be on the extreme end, the vanilla or hazelnut latte might not be. The unique design must be one of the reasons why the Hotel Stripes KL is part of the Autograph Collection. 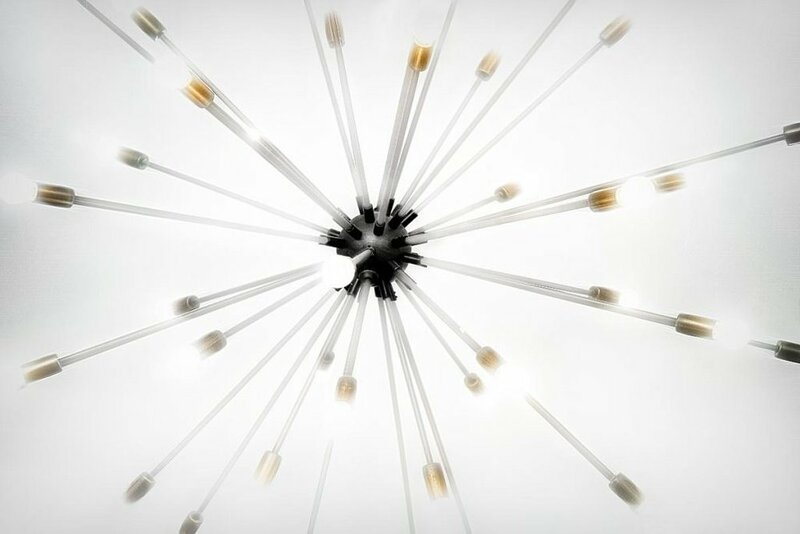 Check this artistic light! It's true that Brasserie 25 menu changes with seasons and guest chef contribute their unique dishes. However, we were surprised to see more English dishes than French ones. After all, brasserie calls for traditional French cuisine. Don’t get me wrong there are French brasserie classics like steak frites, just expect more diversity. The more, the merrier, right? We think so. If only that would also apply to vegetarian options, which are scarce here. I told you it's artistic light. Especially when Ian is editing photos. 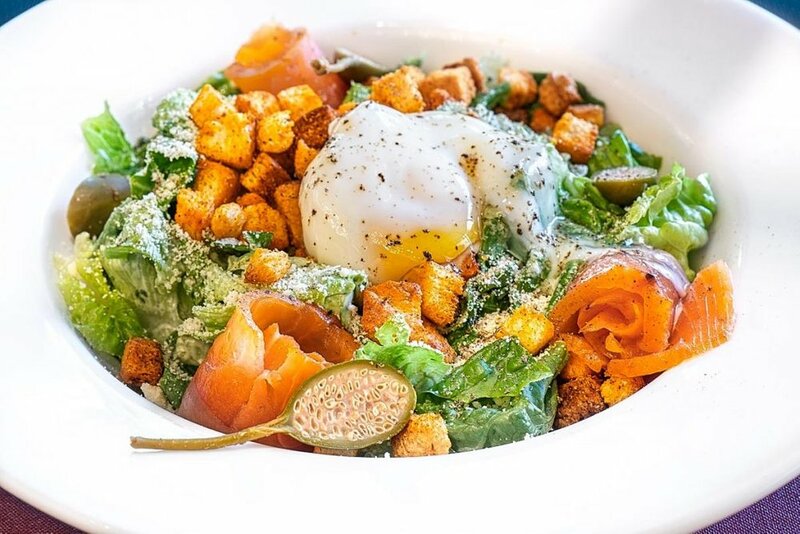 I started light with smoked salmon salad, which was enhanced by poached egg and yogurt dressing. What I liked was the balance among the mild and strong elements like salmon and capers. 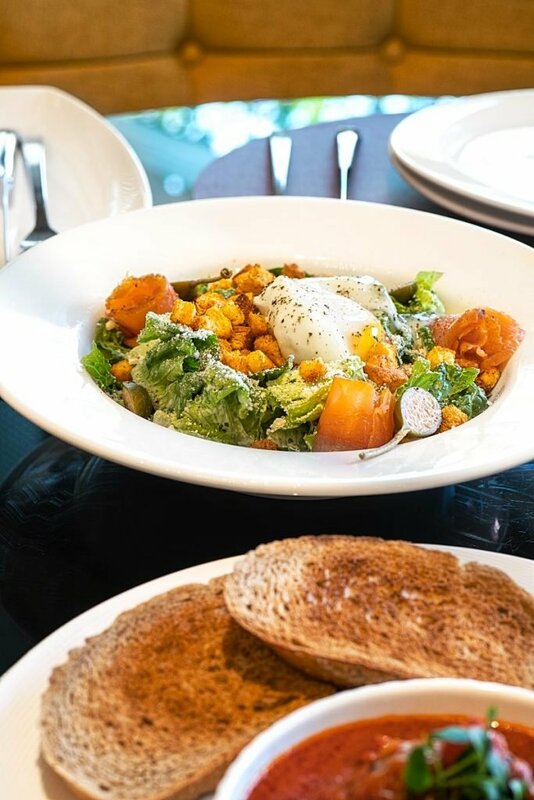 The lettuce and croutons with parmesan cheese are already fantastic even without poached egg, which was cooked perfectly. However, with smoked salmon and capers, the pallet only gets expanded. Appetizers at Brasserie 25 were delicious. Ian, on the other hand, went for a strong start, the meatball stew. The stew is based on tomatoes that presented some moderate acidity next to the sweetness. These meatballs remembered us on those we got at Grand Hyatts' High on Sugar - perfect! Altogether it was a flavorful dish that he combined with truffle mashed potato. The only thing that both of us missed was the truffles in mashed potato. There was no sign of it! 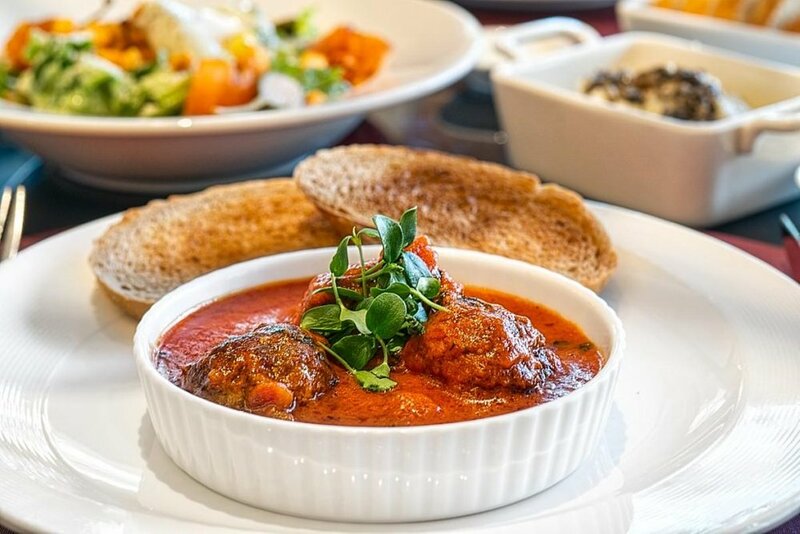 Meatballs stew is based on tomatoes that present moderate acidity. Among the classic mushroom and onion soup, one can find also roasted cauliflower soup. Both of us were content with our soups, even though both could use a few tweaks. I liked the balance among the mild and strong elements in a smoked salmon cos salad. Creamy mushroom soup was full of umami, just like it should be. Given the local mushroom mix, the flavor is not that rich and the most noticeable aroma came from the truffle oil. Somehow, I was missing that rich boletus taste. Nevertheless, it's a respectable western style mushroom soup in the middle of the tropics. 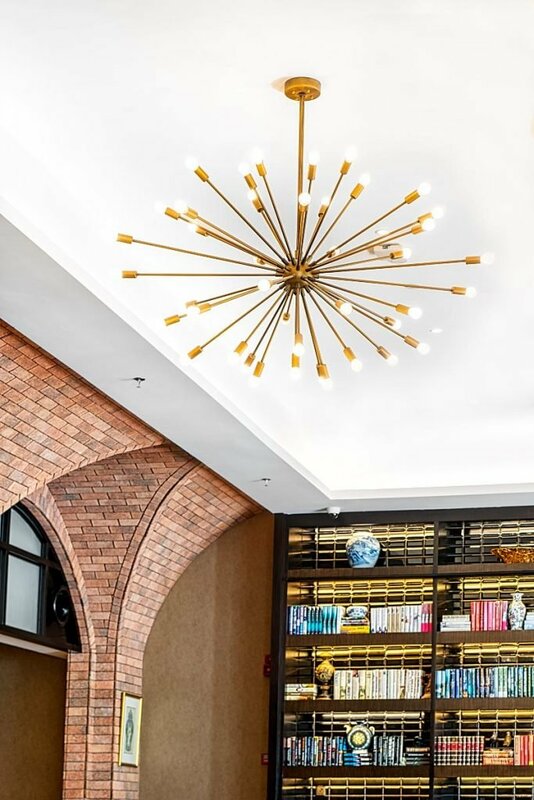 Brick arcades around the open kitchen have a homely effect. 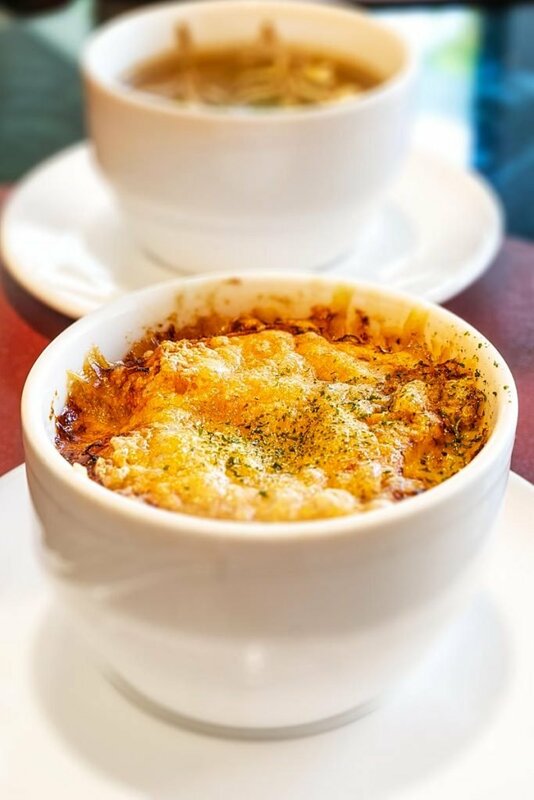 Even though it's been a while since we have eaten the onion soup in Paris, we still remember it vividly. That's why we have high expectations when it comes to the onion soup and they usually end down the drain. Yet the quest continues, and I always find something in a soup that is to my liking. At Brasserie 25 that happens to be the cheddar cheese on top of croutons and caramelized onion. That sadly doesn’t apply to the fruity sweetness and seasons. Above all, I liked the cheddar cheese on top of croutons in onion soup. 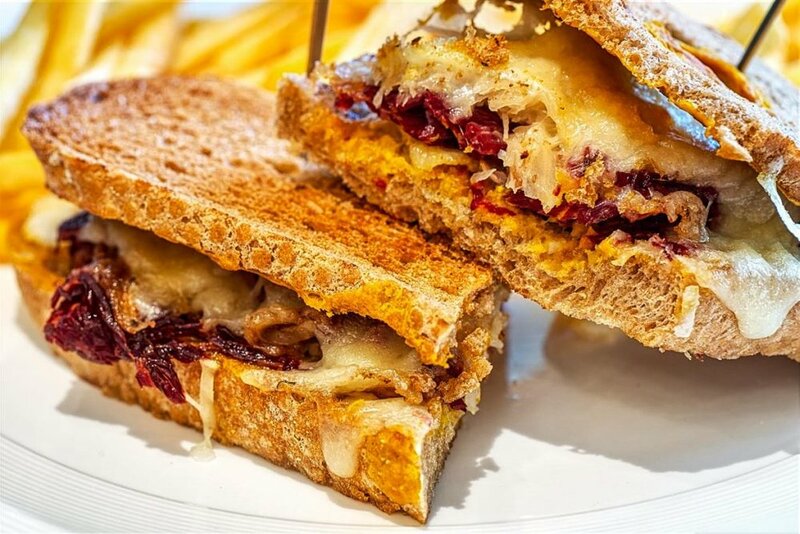 A dynamic mix of European favorites has the broadest selection of British dishes on the menu. Even so, you can choose between fish, pasta and burgers. 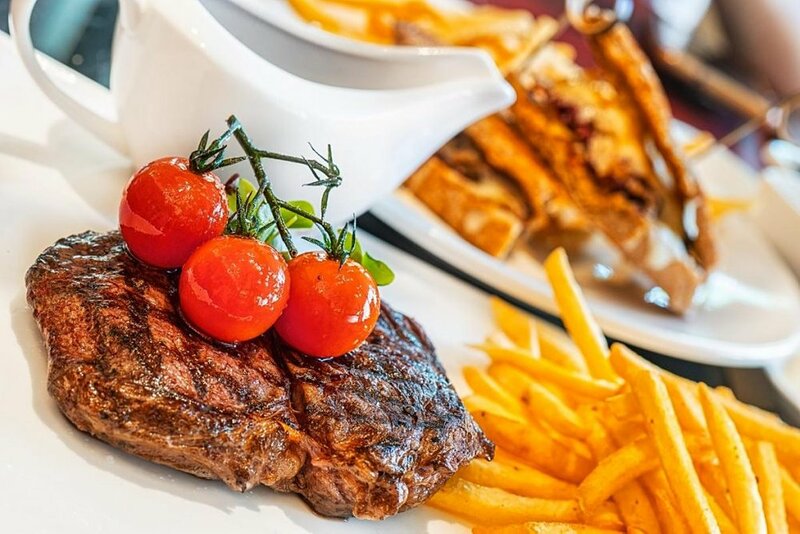 The peak of Ian’s Brasserie 25 lunch menu was the perfectly seared rib-eye. An important detail is a preparation which lasted for 200 days to add more character and tenderness to the meat. 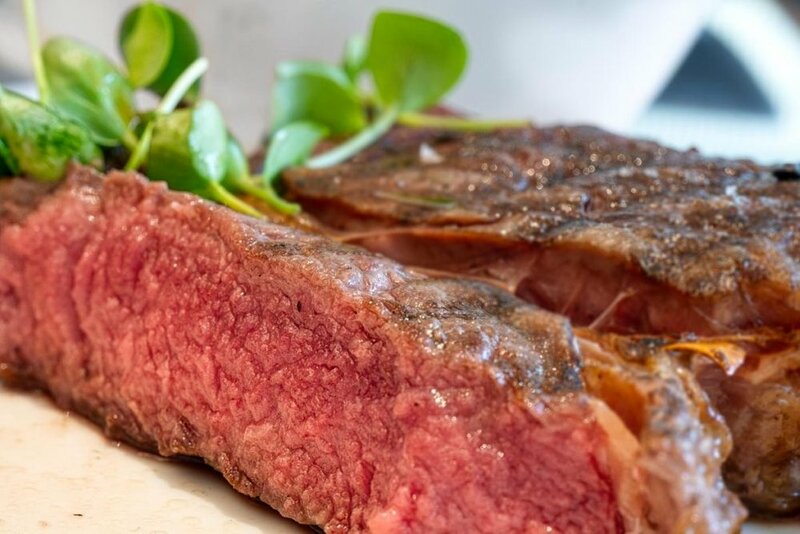 Matured meat is utterly delicious and justifies a reason to visit the Brasserie 25 if you need one. Next to the rib-eye, Ian got the perfect jus gravy and french fries. Jus gravy or so-called beef gravy was rich, well seasoned and not too thick. Ian’s favorite of our lunch was the perfectly seared 200 days aged rib-eye. Add to the pungent sauerkraut some mustard and cornichons, and you'll get what I like to call the winter wonderland. It goes well with many things and one of them is a slice of beef on top of rye bread. I wouldn't mind on my plate some extra gravy to make the french fries more moist. In our eyes, the crown of every meal comes with the last course. I often think back and see how dessert changed the whole experience for me. In this case, the scale moved on the positive side with the help of sticky date pudding. 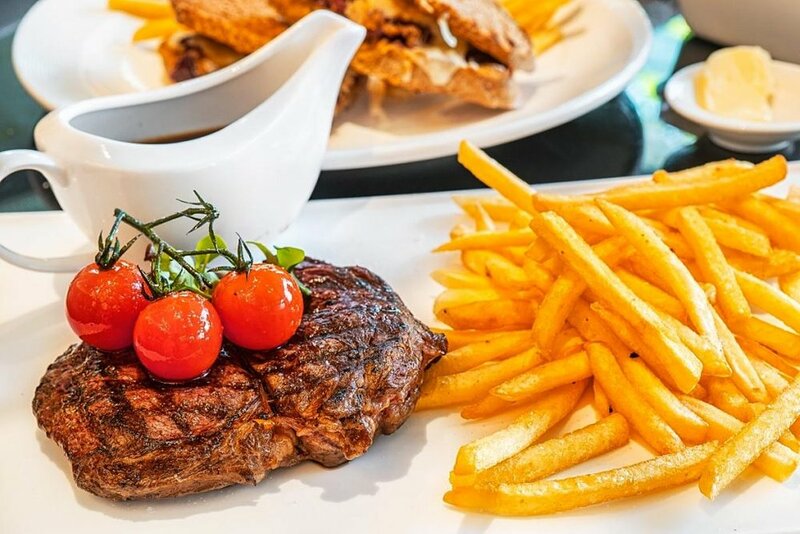 Matured meat is utterly delicious and comes with beef jus and french fries. I liked all the elements, even the slightly bitter caramel sauce. Especially after I captured all in one spoon. With clotted cream, the texture of sticky pudding became even more mouth-watering. 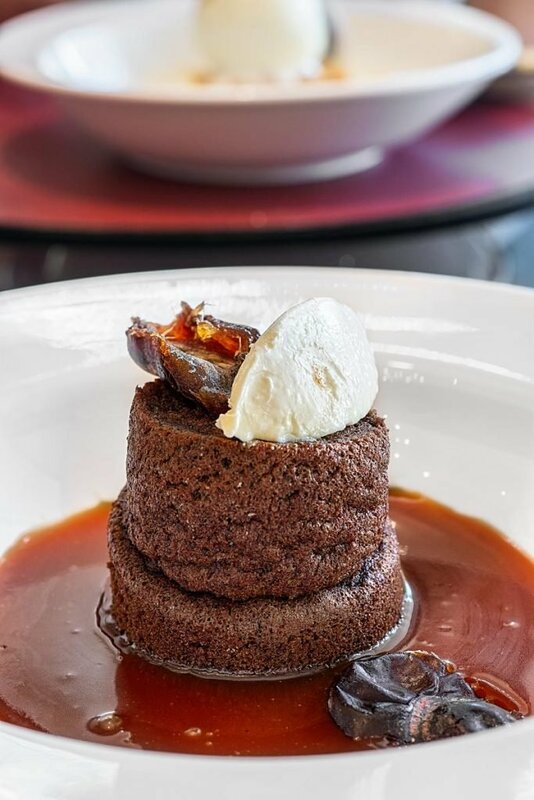 Sticky date pudding with clotted cream on top for extra lusciousness. The apple cobbler came surrounded by the light vanilla cream and topped with vanilla ice cream. Most of all, I liked the juiciness and lovely taste of baked apples. Ian was also happy for a scoop of ice cream, which is always a bonus. Now, that's the ice cream we would expect at Sizzling Sundays BBQ. 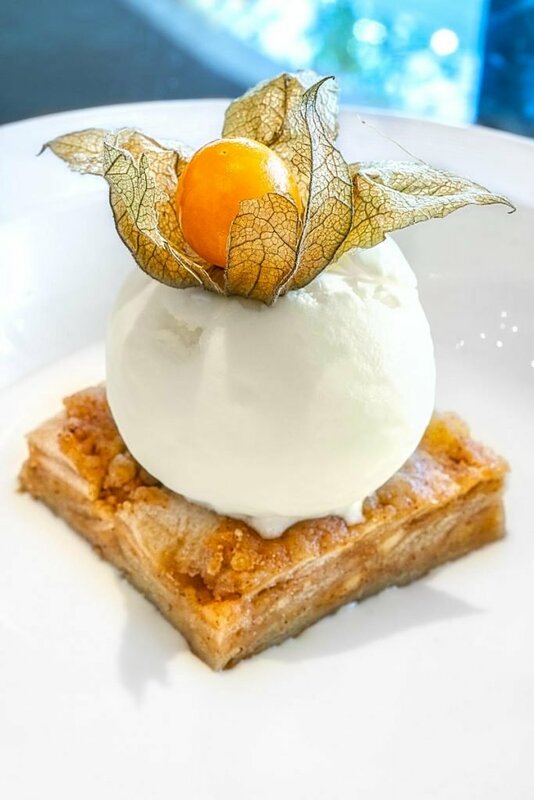 The apple cobbler came surrounded by the light vanilla cream and topped with vanilla ice cream. Our Lunch at Brasserie 25 Kuala Lumpur was overall very pleasant. Only some tweaks for soups and main dishes would make it perfect, though. As has been noted, the desserts are very important to me. That's why I believe an afternoon treat with tea or coffee here is a great idea. Hopefully, their high tea set is in the same spirit! One thing is sure, a solid western taste is guaranteed. To that add a professional service, that happens to be very welcoming. Are your mouth also full of saliva? Our lunch cost us about 65 USD. Soups (30RM) are a little bit too pricey, but on the other side, desserts are super cheap (15RM each). If I add the ribeye (90RM), which is a bargain, it's quite good value! In a case, you decide to give it a go, here is a link to Brasserie 25 restaurant.